"That is us. 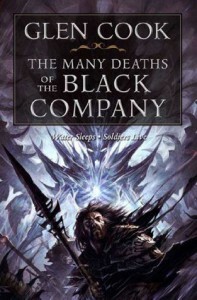 The Black Company. Wicked deeds done dirt cheap. But by damn! You had better pony up when payment is due. Otherwise, if we must, we will come back from the grave itself to make sure our accounts are properly balanced."